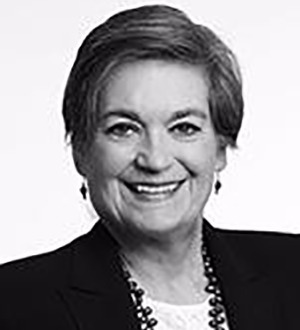 Pamela Baker is past chair of the firm’s US Pensions, Benefits and Executive Compensation practice. She represents boards and compensation committees of public and not-for-profit businesses in executive compensation matters. She also handles nonqualified deferred compensation and equity incentive arrangements for both private and public entities, and represents employers and high-level executives in employment agreements, severance arrangements and golden parachute plans. Pamela's practice covers representation of employers in the design, implementation and administration of tax-qualified retirement plans, Employee Retirement Income Security Act (ERISA) representation of institutional fiduciaries and advice to financial institutions concerning ERISA issues arising in pension fund investing. Pamela is past president of the board of directors of the American Bar Association Retirement Funds and a former member of the ABA Tax Section Council. She is past chair of the American Bar Association Taxation Section Employee Benefits Committee, and formerly chaired the Illinois State Bar Association Employee Benefits Section Council and the Chicago Bar Association Employee Benefits Committee. She is a charter member of the American College of Employee Benefits Counsel. Pamela has chaired and spoken at many nationally noted employee benefits and executive compensation programs. She co-chaired the JCEB/ABA National Institute on Executive Compensation for over 15 years, and for many years, co-chaired the American Law Institute Course of Study, Pension, Profit-Sharing, Welfare and other Compensation Plans. Pamela is nationally recognized as a leading practitioner in the employee benefits and executive compensation field, and is a frequent author and speaker. Recent topics include the intersection of federal securities laws with tax-qualified retirement plans, and deferred compensation under Internal Revenue Code Section 409A.